Super Soft Clean Shopper Shopping Cart Cover Discounts Apply ! The Super-Soft Clean Shopper is 40% fluffier than the Original Clean Shopper, and comes complete with a matching drawstring tote. 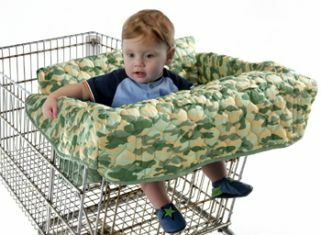 Easy to clean, and with extra pockets and toy loops, this is a must-have for any grocery shopping experience! *Free shipment will be by USPS ground.